SR229 to Oldenburg Rt on Water, Rt.on Washington. House on Rt. In town with out of town amenities! 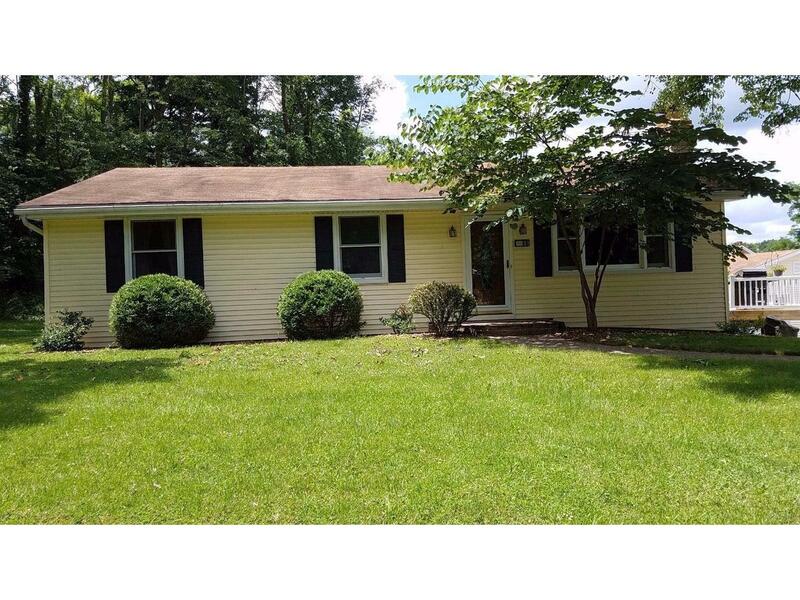 Nice ranch w/large family rm addition, huge deck, shaded large patio around inground pool, huge 52x32 garage w/workshop, water, plumbed for bath. Garden area, finished walk out basement, 1 gas fireplace w/insert, & corn/pellet stove. You can't help but feel the peace and calm when you wander the streets of Oldenburg. Known as the Village of Spires for all its churches, Oldenburg is home to hundreds of Franciscans working together to further love, peace, justice and true joy in today's world. This quiet town retains its old world heritage in its architecture, street signs and friendly atmosphere. Oldenburg was listed on the National Register of Historic Places in March, 1983. At not quite one mile wide, Oldenburg is one of Indiana's smallest towns, with a population of about 700. Its rich history began when Father Franz Joseph Rudolph, a newly ordained priest from Germany, arrived in Oldenburg in 1844, and together with Sister Teresa Hackelmeier, a Franciscan Sister from Vienna, Austria, began a religious and building program which continues today at the Sisters of St. Francis Convent and the Parish and Church of the Holy Family. Oldenburg offers an example of the Old World German heritage still alive in many small towns in America. The city is home to Oldenburg Academy, a 150- year-old Catholic college preparatory high school. More than 80 of the roughly 115 homes in the historic district were constructed before 1900 with the oldest structures made of stone or wood. The extensive use of cast and wrought iron provides great visual richness. Many of the buildings in the community follow the Old World tradition of combining shop and residence under one roof. Just two minutes off Interstate 74 at the Batesville exit, and 45 minutes west of Cincinnati, the town of Oldenburg is compact and easy to explore. Margaret Mary Community Hospitals is located in downtown Batesville, providing care for the residents of Ripley County. Construction of the past year has added diagnostic equipment and a new oncology wing for cancer treatment, expected to be completed by 2005. Dearborn County Hospital in Lawrenceburg is nearby. Basic needs are met in town, with most a few minutes drive away in nearby Batesville. Most recreation surrounds the churches and high school, or is found in nearby Batesville.